Exhibitors, reserve your space at THE HERTFORDSHIRE COUNTY show. If you are interested in exhibiting at the Festiwool pop-up at the Hertfordshire County Show 2 day event in May, please fill in the application form below. 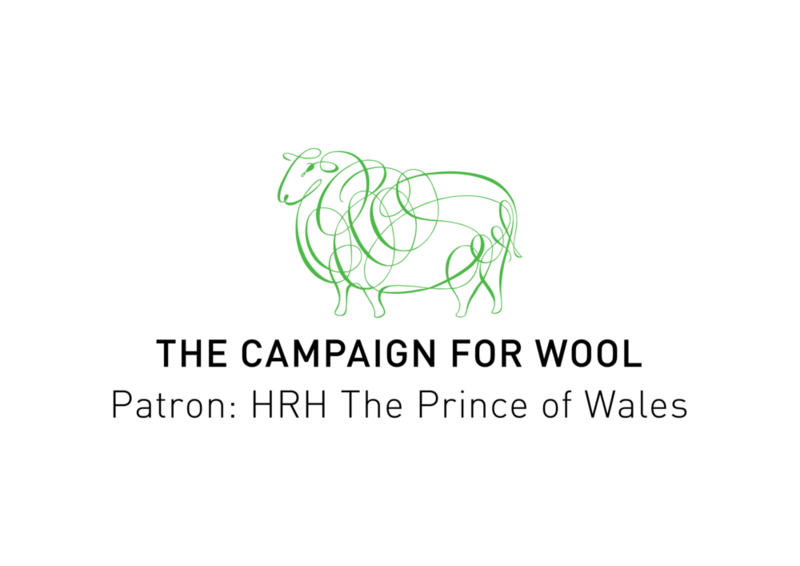 Thank you for your application to be part of Hitchin Festiwool. The Society retains the right to refuse any exhibit that it considers unworthy of being shown and also to order the removal of any unsightly or unsuitable stands. No application will be accepted unless accompanied by the correct remittance. Exhibitors are not ‘booked in’ until full payment has been processed and written confirmation has been sent from the Show office. No exhibitor may sub-let any part of the site allocated. Single day bookings are not accepted. No exhibitor may move to an alternative site or designated trade stand area on the Showground without the express permission of the Senior Trade Stand Steward or the Trade Secretary. Amplification equipment may be used providing it is at a reasonable level and not intrusive to other traders or members of the public. In the event of a dispute, the Senior Show Steward will determine what is deemed to be ‘reasonable’. No exhibitor shall be allowed to call attention to goods or services or use any equipment or machinery so as to cause annoyance to other traders or members of the public. Promoting your business or charity by distributing leaflets or other marketing material fly posting away from the confines of the site or selling of goods by auction are all prohibited. Live animals, birds, fish etc. are not to be sold or offered as prizes and must not be handled by the public at any time unless previously authorised by the society and signed off by the showground veterinary team prior to the start of the show. Organisations wishing to make appeals for contributions or to run competitions must obtain written permission from the Secretary. Exhibitors must display their name and address at all times in a size and style that can be easily seen by the public. Well behaved dogs are welcome but they must be kept on a lead at all times and are not allowed in the Livestock Marquees, Food Hall or Made in Hertfordshire Marquee. Where possible we try to separate traders who are likely to offer similar products for sale, by placing them in different locations. However, the layout of the Showground and of the Trade Stands means there will be occasions where it is unavoidable that traders are in close proximity to their competitors. Traders who exhibit at the show must accept that this may occur. Prohibited Items that may NOT be used either on your stand or offered for sale within the Showground include, but are not restricted to, the following: Kites, Silly String, Air Horns, Stink Bombs, Drones, Two-way Radios, Weapons, Replica Weapons, Balloons, Fireworks, Generators. Our Health and Safety Risk Assessment Forms will be sent to you once you have booked a trade site – these must be completed and returned to the Show office as soon as possible. It is the responsibility of the Exhibitor to hold the necessary Public Liability Insurance cover for the Third Party risks and to ensure all their staff and contractors work in accordance with the relevant Health & Safety legislations. The Exhibitor Public Liability Insurance must also include all and any risks including personal injury that might arise from any sale or distribution of inflatable balloons by the Exhibitor to cover Show visitors, other Exhibitors and Hertfordshire County Show staff with a recommended minimum £2.5 million of insurance cover. The Society has taken reasonable precautions to ensure the health and safety of everyone present. For these measures to be effective, please take reasonable precautions to avoid and prevent accidents occurring and obey the instructions of the Society’s Officials and Stewards. Please clear rubbish and debris regularly and after the Show, fill in holes and make good any damage to the ground. Any exhibitor who brings their own marquee must provide a Health and Safety Risk Assessment together with a suitable serviced fire extinguisher(s) as appropriate. Smoking is prohibited in all marquees. If you require any advice please contact David Sendall at The Fire Protection Company, Knebworth on 01438 816693. There will be continuous night security patrols during the Show weekend but it is the responsibility of exhibitors or their agents to safeguard their property. The Society does not accept any responsibility whatsoever for any losses in the build up/take down/during the show. All sites must be staffed, stocked and open to the public continuously from 8.30am to 5.30pm on both Show days and early departure is not permitted. Vehicles must be parked in their appropriate parking area by 8.30am on Show days and vehicle movements are not permitted within the Showground until 5.30pm or until the Show Stewards permit their movement, whichever is later. The Society reserves the right to cancel all or part of the Show for any reason. To the extent permitted by the Unfair Contract Terms Act 1977 the Society will not be liable for any loss or damage whether caused by the negligence of the Society its servants or agents or in any other way whatsoever. The Society shall in no circumstances be liable to the Trader for any loss of business, profit or production or any similar loss or damage whether direct, indirect or consequential and be under no obligation whatsoever to compensate the trader. Any exhibitor who cancels a booked site, for whatever reason, shall forfeit all fees paid and the Society shall reserve the right to re-let such sites. No refunds will be given due to bad weather or ground conditions. Exhibitors must ensure that they are adequately insured covering public liability for Third Parties plus cancellation cover by the Trade Exhibitor. The Society will not, under any circumstances, entertain any claim on behalf of any exhibitor. Food sold in The Food Hall and the Made in Hertfordshire Marquee is for consumption OFF the Showground. Hot and cold samples may be offered to visitors. Food (to be taken home) can also be sold from outside Trade Sites at the discretion of the Show office; written permission MUST be obtained. See item 12 in the Rules and Regulations section. We cannot and do not guarantee exclusivity on produce for sale in the Food Hall and we will do our best to site your company in a suitable position within the marquee. NB: A few of our well established existing exhibitors in the Food Hall have permission to sell food to eat at the Show. This is by special arrangement with the Society and a premium is charged for this. Drink (alcoholic and non-alcoholic) is NOT to be sold for the consumption ON the showground to our Show visitors. You are only permitted under the Show’s rules to sell alcohol for consumption OFF the Showground, NOT by the glass from the Trade Exhibitor Site. However complimentary samples may be offered. Please note outside stands you still require your own TEN License issued by St Albans City Council to offer Alcohol products sold during our Show for consumption off-site. Our Food hall and Made in Herts marquees both have TEN license set up by HAS for you. ALCOHOL SALES: The Hertfordshire County Showground does not hold a Premises Licence for the sale of Alcohol. The sale of Alcohol for consumption during our Show is restricted to our approved Restaurant and Mobile Bars. For your information all 4 of these authorised Alcohol concessions are licensed under Temporary Event Notices for their sole use in designated areas. The siting of exhibitors will be at the discretion of the Trade Stand Secretary who will endeavour to accommodate any requests. All exhibitors from the previous year’s Show are given first refusal on re-booking their space until 8th December 2018 and therefore a waiting system is in place. Only items/services you list on the application form are permitted to be sold or promoted on your stand. Trade Exhibitor forms and general information on the Show are on our website www.hertsshow.com. You will be allocated a Trade Site Number two weeks before the Show and the area will be highlighted on the plan sent to you with your tickets and wristbands. This number will be on small white plastic flags at the front of your site so please set up WITHIN the flags and do not move them. Stewards will be on site to assist. Encroaching on another Exhibitor’s space is strictly forbidden, if your marquee is too big for the site booked you will be expected to take it down. Encroaching on another Exhibitors space is strictly forbidden, if your marquee is too big for the site booked you will be expected to take it down. Exhibitors can set up from the Thursday before the show, if you need access earlier please contact the Trade Stand Secretary to discuss. During the set up days and the show weekend the Trade Stand Information office will be located in the centre of the Showground under the large Oak tree. Traders who exhibited at our previous Show have priority until 8th December 2018 to rebook their existing site. Payment must be received in full by this date to secure the same site as at the previous show. After this date all remaining sites will be offered to new traders on our waiting list. Although every effort is made to meet the site requirements of exhibitors, the layout of the showground does change each year so allocation of a previous year’s site cannot be guaranteed. Please check your details are correct on the application form sent to you and make any amendments where necessary. Please inform us of any change of address immediately. Our trade site numbers may change on the plan from year to year so even if you book the same site it may not necessarily have the same number.